The unusual 5 reel x 5 pay line grid includes some really interesting and powerful symbols such as Egyptian gods, Jewels, and the Pharaoh. There is also a rather interesting special feature which is called Jackpot Stars and is triggered randomly during the base game. When activated, you have an opportunity to place an additional wager and win 12,500 x your bet. Wild. The Wild Symbol substitutes for all symbols within any winning combination. The Wild Symbol however also doubles as the Bonus Scatter. Bonus Scatter Symbol Free Spins. Three or more Wild Symbols will trigger your 10 Free Spins. This also at the same time will unlock the 6th additional Reel. Any symbol other than the Wild can be a Bonus symbol during the free spin feature. When a number of Bonus Symbols constitute a win, that symbol is stamped to cover complete reels and move to the left and pays on all lines. Bonus Symbol Re-Spin. When only two Wild Symbols appear, the game might award a surprise Bonus Symbol Re-Spin. Any symbol other than the Wild can be a Bonus Symbol during single re-spin. Two Wild Symbols during the Free Spin Feature will reward you with a further 1 additional Free Spin. Three or more Wild Symbols during the Free Spin Feature will reward you with another full 10 Free Spins and also upgrade the Bonus Symbol. 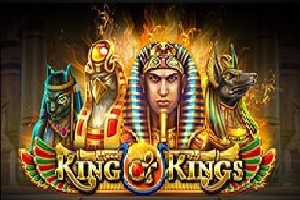 This game is Available at Slotsmillion. Read our Review of the Casino and then visit the Casino to see what they have on offer.